Trick or Treat is underway at your local Pinot’s Palette studio location every Thursday in October for our new and existing Pinot Perks members! This is a special treat for our members who like to paint, drink and have fun with us on a regular basis. During the month of October, new and existing Pinot Perks members attending Thursday events will have the chance to choose a special treat card. Could it be candy? A $10 off credit? Or, a FREE EVENT! You won’t know if you haven’t joined! 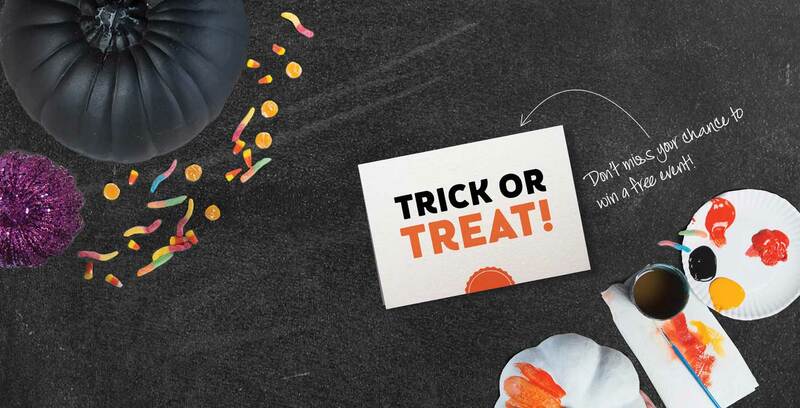 Sign up, register for your Thursday event, and come trick or treating with us! ** Password must be at least characters. Choose your own cool username, or just skip and use your email. Celebrate your anniversary with exclusive deals. I received a Pinot Perks card in studio. I have a referral from a friend.